While there is still a lot of work to be done, we’re excited to share our latest progress. You’ll be able to get hands-on with the beta release of Investar Mobile Beta 4.0.4 by typing the following URL into your mobile browser: www.investarindia.com/beta. Divergence is where the price of a stock and a set of relevant indicators, e.g., the MACD, stochastic oscillator, RSI, etc… are moving in opposite directions. 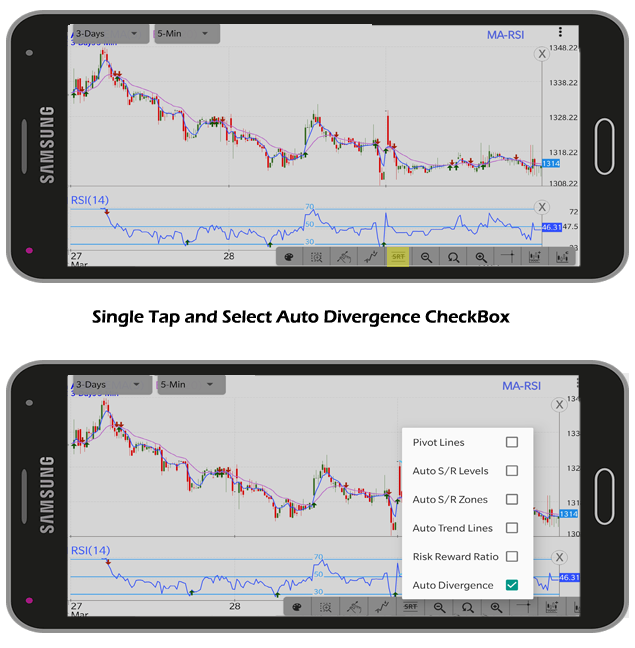 To enable Auto Divergence, simply select Auto Divergence from the chart menu “SRT” and get Auto Divergence feature instantly. 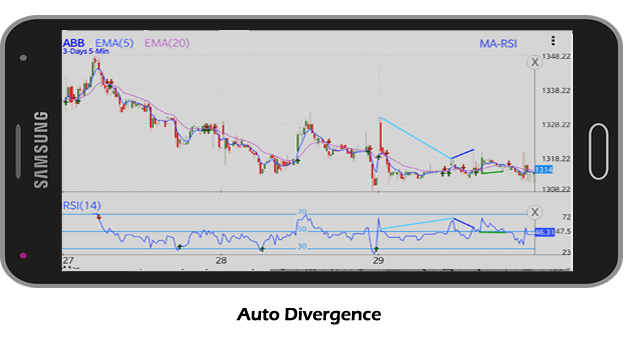 In the above chart the lines on the chart indicates Auto Divergence, meaning when price makes higher highs, but the indicator makes a lower high. Lines in chart indicate Regular Bullish/Bearish Divergence, and Hidden Bullish/Bearish divergence, and associated colors. 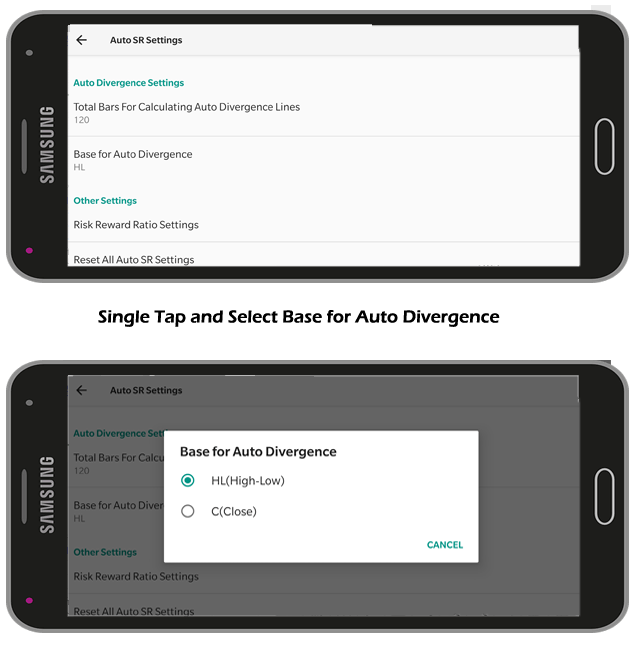 Select the Setting option from menu and then select Auto Divergence Settings. NOTE: Customization for Total bars for calculating Auto divergences Lines are not available for now. The team loves hearing what you have to say about our App and workflows. Keep it coming! We look forward to hearing your feedback. Reporting feedback from the app is easy. Simply touch the drawer menu and select “Report Feedback”. Note: Investar Mobile Beta is not available on Google Play, so please do not rate it on Google Play. This entry was posted in Investar and tagged Auto divergence, Bullish/Bearish Divergence, Hidden Bullish/Bearish divergence. Bookmark the permalink.